A few months ago, I updated you guys on my eyebrow regrowth process. I reported that my progress was slow for the past 5 months, and that I was still working on growing in the sparse areas that I had abused as a young teen more than a decade ago. Now, I bring you my 9-month update and wanted to let you know that this concludes my eyebrow regrowth journey. It’s been a long, grueling process — filled with painstaking mornings having to fill in, shade, and blend in product so that my eyebrows could be more full. I’ve tried various products throughout the 9 months and changed my routine from time to time — mainly to accommodate. At this point, my brows are as full as they could ever naturally be. I still have some mildly patchy areas, so I fill that area in with pencil or powder — whichever is tickling my fancy. 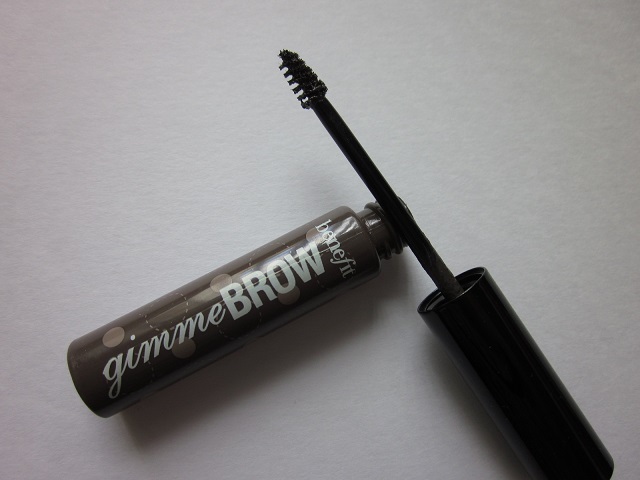 But one product has truly been my gem and it’s my most recent find: the Benefit Gimme Brow. I encourage everyone to keep their eyebrows as is. Pluck the strays and the odd hairs on your lids and definitely take care of the unibrow. But leave everything else. Your best brow shape is the natural one — the shape that you were born with, I promise. I spent more than a decade plucking all my eyebrow hairs and it’s taken 9 months to grow what I can back. At this point, I’ve accepted them for what they are and I will maintain them the best I can! Have you had a regrowth journey? On a whim, I decided to try the Tarte Cheek Stain because I liked the idea of it being a “natural-looking gel blush,” and “a water-based gel cheek tint that gives you a natural flush.” This alcohol-free and oil-free glue-stick-like product is unique — in that it’s a cheek stain that differs from other well-known cheek stains like the Benefit Benetint or Benefit Posietint. I was disappointed that I didn’t like this product, even though it received good reviews. While summer is coming to an end, I thought this would be perfect for a “glowy summer look” — with glossy lips and dewy cheeks. However, I had a number of issues with this product: first, you have to swipe the blush a number of times on your cheeks to get the color to apply. I found that this would actually remove base makeup applied prior. Second, even a stippling brush didn’t blend the color well once applied; I had to use my fingers and I didn’t like how sticky the texture was. Third, the packaging requires you to push from the bottom to reveal more product on top. But it would slide down when I would be busy swiping this on my cheeks. My biggest complaint is that this product is sticky and it takes forever to dry on the cheeks. While it does create a stain and the finish is natural, my hair would get stuck on my face because of this product. Also, because this is a gel-type blush, it would blend unevenly — meaning, it would blend more in some places and not enough in others. I was horrified to find that my face looked splotchy when I used this blush. Most stain products risk drying/setting too quickly, and it’s strange that these cheek stains stay sticky for so long. 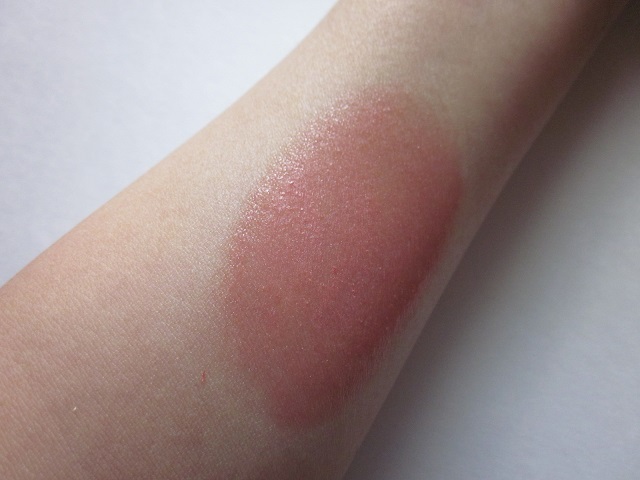 The color “Tipsy” is pretty and is described to be a “sheer coral-pink with a hint of white shimmer,” and as you can see, it’s really nice swatched by itself. The apricot scent was nice as well. But the product is so high maintenance — ironically, it was designed to be an easy “on-the-go” product. I prefer powder blushes in general, but cream textures that are easy to work that are my favorite are Illamasqua Cream Blushers in “Laid” and “Promise.” Also, on the high-end of the spectrum, the Le Blush Creme de Chanel in 63 “Revelation” and 64 “Inspiration” are noteworthy as well. If you remember me hating primers in the past, it’s because I had various issues with them in general — either they didn’t do anything, made my makeup worse/oily, or my skin had a reaction to them. After dabbling in some “primer experiments,” I’ve come to the conclusion that I have three favorites and they all serve different purposes. For this reason, I really believe that not all primers are created equal; and, I have yet to find one that does everything. 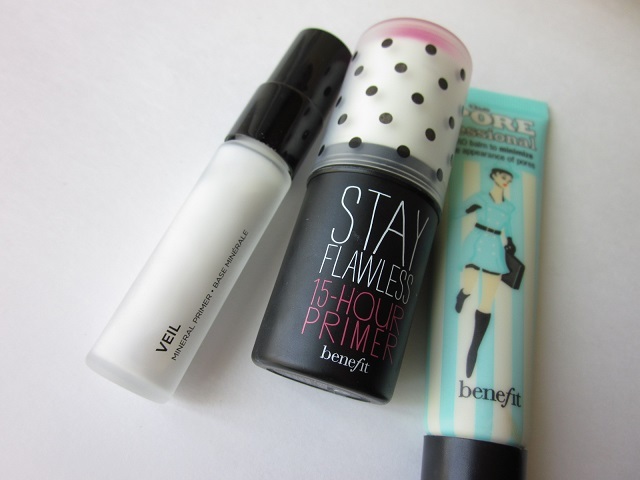 This primer is a good overall primer, but it’s best at helping your makeup look great throughout the day. I wouldn’t say that it’s helps to prolong makeup wear, but it helps it look nicer as the day goes on and as oil begins to naturally break through. It’s light in texture and is undetectable once blended. Worn alone — this product is great too. However, this primer is white in color and can be a problem for those with darker skin tones. Without proper blending, I’ve noticed white streaks even on myself. If you’re looking for a primer that’s specifically designed to help with your makeup’s lasting power, this is the one to go with. It’s also very easy to use since you can just swipe the product on your face and that’s it. It helps your foundation/base makeup really stick to your skin and helps it last all day. I’ve also noticed I can lengthen my blush’s wear time by swiping this along my cheeks. However, it doesn’t do much for redness, pores, lines and discolorations on your face. 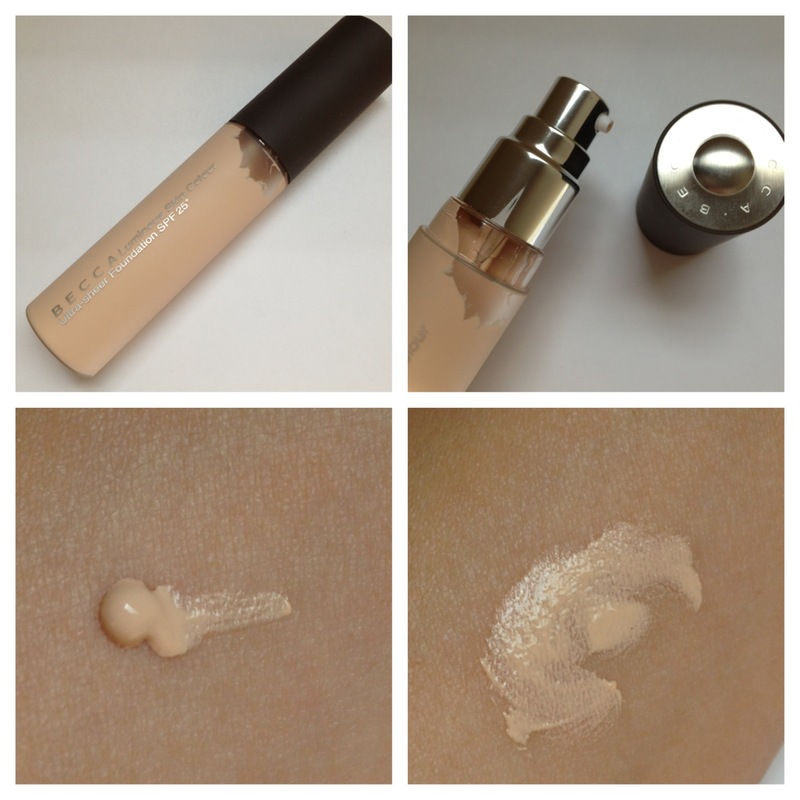 This particular primer is great for concealing lines and pores because it’s great at smoothing everything out and evening the texture of your skin. This is a tremendous help for when you wake up and your skin is irritated or on the verge of sprouting a few pimples. Sometimes I’ll wear this just on the areas where my pores are visible because this really helps to make them appear smaller. Unfortunately, it doesn’t help with helping your makeup last and helping your makeup look good as the day wears on. 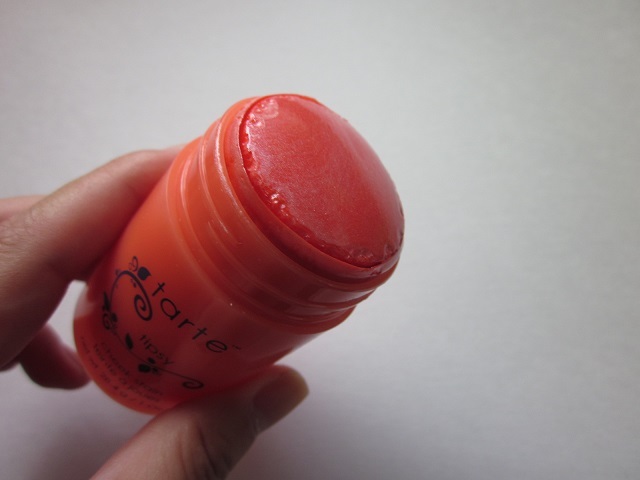 The product is slippery and I feel like after a few hours, it just slips right off the face. I like to wear this under powder foundation more than liquid. Primers are optional and not everyone sees them to be a necessary step in their makeup routine. I like to use them only when I need to — that’s pretty much why I have three that I like — one for each concern I have. I haven’t found one that does it all, but I suppose it’s good to have some options. So, if you have to pick one, decide which concerns are really important for you and go from there; however, I have personally found that many good foundations these days have a built-in primer (plus coverage). ‘Tis true — not all brow mascaras are created equal. 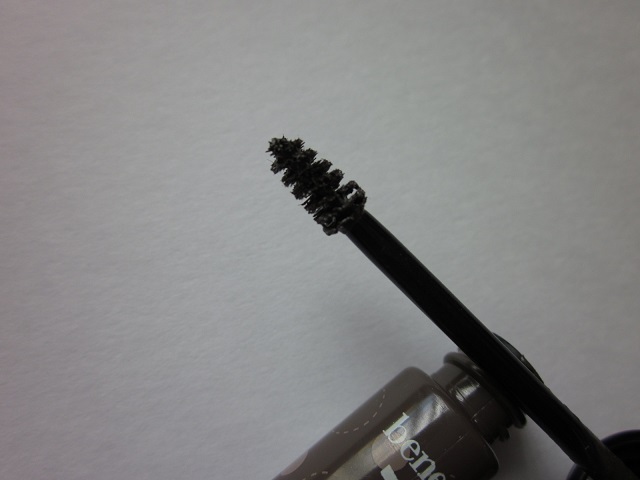 With the new Benefit Gimme Brow, I can safely say that I have found a “eyebrow mascara” that I really like. Mainly, I have to give all the credit to the teeny tiny brush/tip and the non-sticky and reasonably waxy formula. Now that my eyebrows are all grown back, it’s nice to use the Benefit Gimme Brow to define and volumize my eyebrow hairs without having to painstakingly draw them/fill them in. 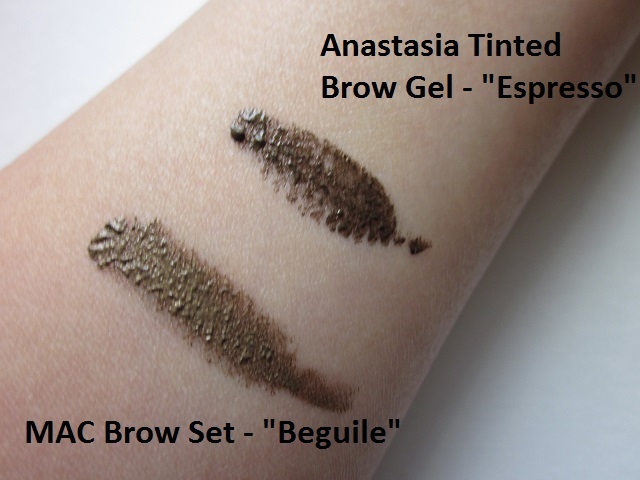 I’ve compared the Benefit Gimme Brow to the Anastasia Tinted Brow Gel in “Espresso” and the MAC Brow Set in “Beguile.” Ultimately, the Anastasia Tinted Brow Gel is too stiff — more like hairspray for your brows — and, while, this may be a great option for keeping your eyebrow hairs in place forever, the brush is too big and I get the product all over my skin. Also, the gloopiness of the formula can be difficult to work with since in some areas the product will gloop and in some areas there’s not enough product. Definitely not a favorite product for me. The MAC Brow Set is nice, but I have the same problem with the big brush and the formula. Also, the formula for this product has a shiny sheen — which is weird, and it makes my brows look glossy (which isn’t a good every day look). 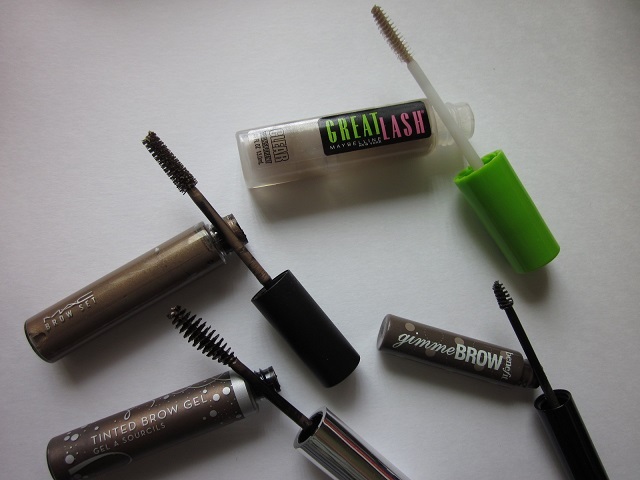 The cheapest and one of the greatest options at the end of the day is the Maybelline Great Lash Clear Mascara. This is perfect for defining your brows after they’ve been filled in, or if you’re just going for a natural and low-maintenance look. For less than $6.00 USD, this is a great option — although, it does get dirty easily because the formula is clear. It keeps your brows in place without be sticky or crunchy and it’s still easy to remove at the end of your day. The Benefit Gimme Brow is a “brow-volumizing fiber gel,” and “adheres to skin and hair creating brows where before there were none. It builds easily for thick, lush arches, thanks to a tapered brush for blending and a precision tip for shaping. 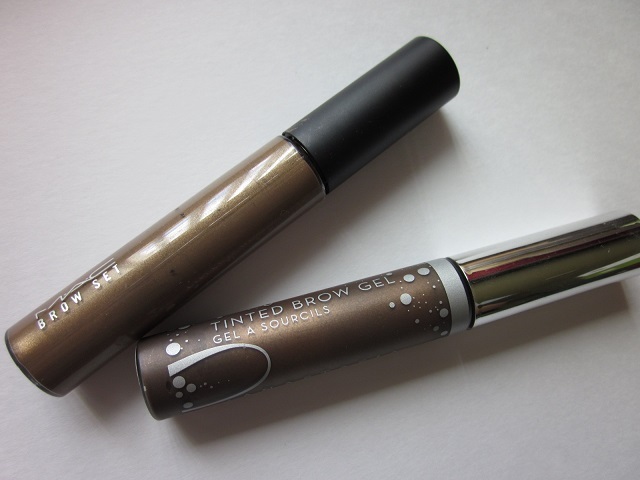 The fiber gel is water resistant, long lasting, and buildable for natural-looking brows.” All this is true. The brush is so little it gives you precise application and the formula is not too stiff and not too “loose” so it’s manageable. Also, this product can be applied to skin in case you have some spares areas; and, can be applied to the hairs to give them definition and color. It’s easy to work with and does what I want, which is a win-win. However, for teeny tiny product, this is $22 USD — which is just ridiculous. 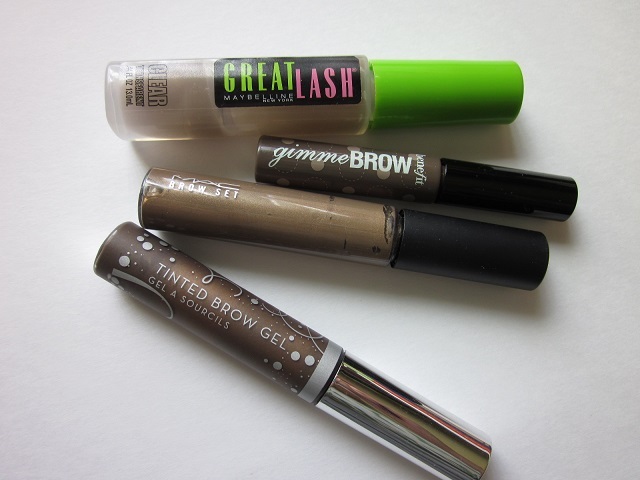 For now, this is my new brow routine and I like that it’s so simple and user-friendly. Finally. I know that the concept of a “brow-volumizing fiber gel” seems gimmicky, but it truly does give some major oomph to my sparse and thin brows. 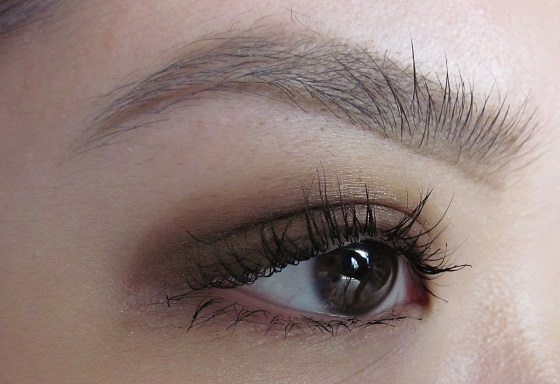 Much like what mascara does for the lashes, this idea applies to brows — which is really genius if you think about it! I would recommend this product, for sure. I’m one of those people who spend way too much time getting my complexion in tip top shape, rather than deciding which colorful eyeshadow or lipstick I’m going to be sporting that day. In fact, I probably own way more products for the face than anything else. It also doesn’t help that one of my favorite items to research, play with, and purchase are base products. For me, taking your bare complexion to the next level is important — and, that means, I want my skin to look healthy, glowy, and well-put -together for sure. Rather than covering each little spot, I like to focus on the overall result — such as, a smooth and poreless surface or some glow from an awesome highlighter. I do this many ways, but these are the key items I’ve been reaching for. First, lasting powder is important. But more than that, evening our your canvas and prepping it nicely for the base makeup will save some time. That extra step is having a good primer, like the Hourglass Veil Mineral Primer SPF 15 or the Benefit Stay Flawless 15-hour Primer. Second, having a product like the Clarins Beauty Flash Balm handy to really wake up your skin and having it feel and look great. This will truly take your skin from being average to looking like you’ve been on a spa vacation for a week. It’s an investment, but will come to the rescue when you least expect it. And, thirdly, your under eye and eye area can’t be neglected when your enhancing your complexion. I’ve been dedicated to the Diorsnow UV Shield BB Eye Creme SPF 20 PA++ because it’s an all in one: eye cream and some tint for coverage. And, finally, you need a reliable base product that’s not going to let you down — whether it’s raining or humid outside, or you’ve burst into tears in the middle of your day. 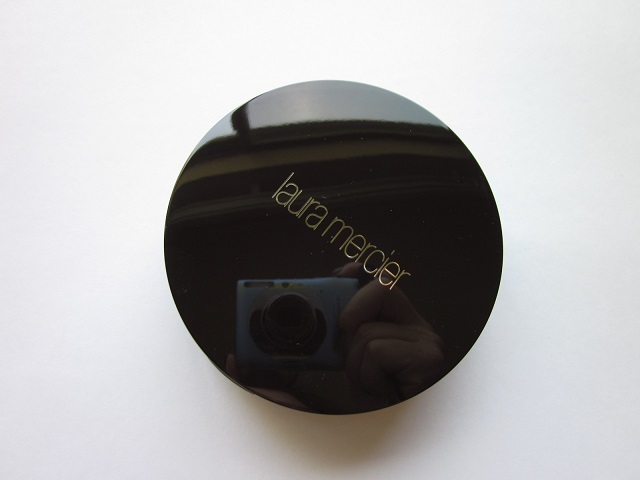 My base of choice right now is the Laura Mercier Smooth Finish Foundation Powder in Ivory. It’s a godsend and lifesaver, and currently, my most favorite powder foundation of all. If you’re thinking — AIN’T NOBODY GOT TIME FO DAT — there’s a good way to skip steps and jump ahead with a longtime favorite liquid foundation: NARS Sheer Glow in “Mont Blanc” and the Chanel Les Beiges Healthy Glow Sheer Colour SPF 15 in N10 that will do everyone else’s jobs. Think about this product as a giant makeup eraser — it goes and blurs everything — imperfections, discolorations, pores, lines, wrinkles, and uneven surfaces. Seriously. Whatever your preferences are, I hope you found my ways to enhance the complexion helpful! I’m never a fan about stubbornly sticking with a single brand. But, for me, my collection is so vast my products have to be on rotation — even when I’m travelling or on vacation. 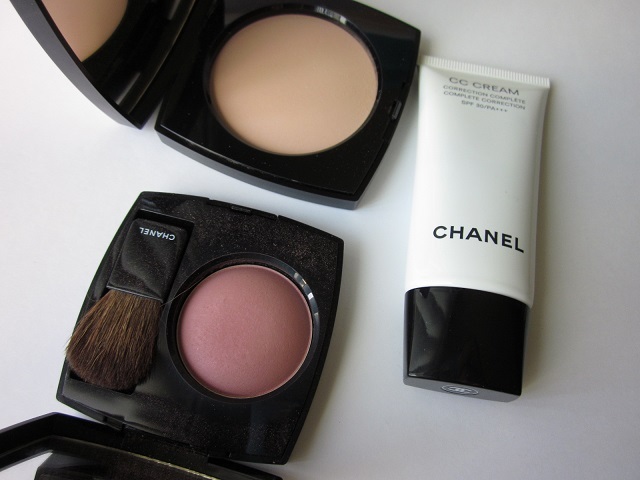 A few days ago, I was really feeling the inner Chanel goddess within me; so, I decided I’d pamper my complexion with Chanel products — old and new. Sometimes it’s the little things that can really kick-start your day — like, starting your morning with a wee bit of Chanel. 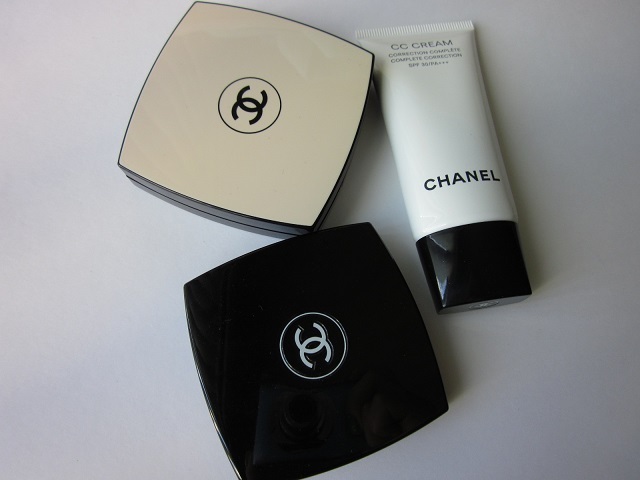 My base makeup started with applying the Chanel CC Cream – Complete Correction Sunscreen, and I really made sure to apply an even layer all over my face. With CC creams, since they’re mostly a skincare item rather than a cosmetic item, I try to be quite liberal with the application — often, using it even on my eyelids and neck. 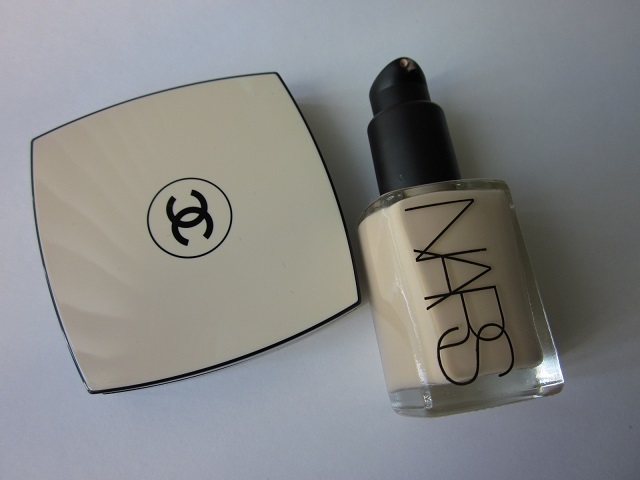 Then, I powdered with the Chanel Les Beiges Healthy Glow Sheer Colour in N10. Using a big, fluffy brush, I generously dusted the product all over my face. But, I concentrated most of the color/product on the center of my face since that’s where I wanted to really attribute some glow. I encourage all of you to shop from your current stash as well. What are you loving this week? I’ve developed a new love for Becca and I’m pleasantly surprised with the quality of the products. I’ve been slowly dabbling in Becca’s products and my first product was the Shimmering Skin Perfector SPF 25+ and it’s still my favorite liquid highlighter. On whim, I purchased the Becca Luminous Skin Colour Ultra Sheer Foundation SPF 25+ in “Porcelain” and it’s seriously a lovely product. 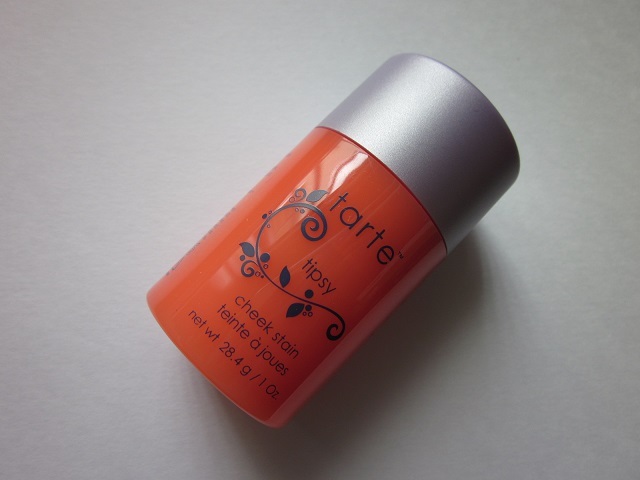 It’s very moisturizing and blends easily and beautifully onto the skin. It makes your skin look even and glowy — like you were born to look this radiant. However, the coverage is very, very sheer so this may not be for everyone, and only works well on good skin days — free of looking tired/stressed and free of blemishes and bumps. Also, with the built in sun protection, it’s great for the summer because it feels light on the skin without looking like you’ve got makeup on. I agree that this product makes you look youthful and fresh, and the formula is nice and hydrating — but oil control is minimal at best, so it’s best to powder; and, it’s also not that long-lasting. At least we can credit the name of this foundation because it has “ultra sheer” in its name, so there’s some confidence in the product’s honesty. This product looks nice on the skin, but it’s really the kind of product you’d wear on a Sunday to run errands and lounge around. With some additional concealer and powder action, this would be great for an outdoor summer dinner, and maybe if you want to look a bit more even at the pool/beach this could be an option. I can understand how this may not be a popular option for those with complexion issues or fuller coverage. Luckily, there’s so many options nowadays. But this may not be one. I’d recommend this for people who don’t want to do much to their skin, or for those with pretty good skin that needs a little bit of oomph. For me, I like to wear this to yoga or on days I don’t feel like doing a full-on “makeup routine.” Recently, on vacation, this was my go-to because it was so easy to use. Also, paired with the Shimmering Skin Perfector, it’s a perfect combo. I purchased the shade 02 Ivory and I feel that it’s a good match. At first it looked really light in the pan when I first got it, but after “breaking it in,” it looks less frightening, lol. The powder is extremely finely milled and thin — and it’s smooth like butter, so the application is very soft and virtually undetectable. This provides great coverage and is long-lasting with great oil-control, which makes it most optimal for the summer time. It keeps my skin comfortable — not too oily or too dry; and, functions as a “soft-focus” tool so even on bad skin days the powder sits nicely on my skin. I apply this with a fluffy powder brush for a sheerer effect, but it’s designed to be a product that’s customizable coverage-wise. I’ve used the sponge to spot-conceal and it does a really great job at adding additional coverage to the designated area without looking cakey. The coverage in general is wonderful, which surprised me because this is a powder. Not only is this a great on-the-go product, but it’s easy to use which is a winner in my book (since I can get a bit lazy at times). So far, despite its new release, this product has done well. The reviews are high and so that’s a good sign. 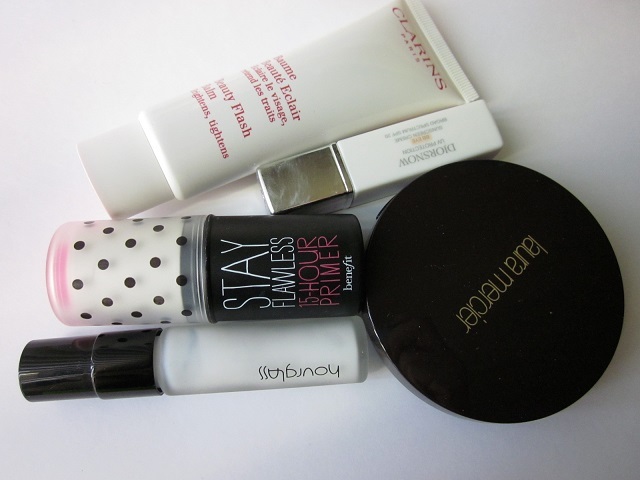 I would recommend this over the Benefit ‘Hello Flawless!’ SPF 15 powder foundation. While my absolute favorite is still the Chantecaille Compact Makeup Foundation, this comes in a close, close second. I recommend, especially if you’ve got oily skin and you’re looking for a powder foundation that provides high coverage without looking or feeling heavy. While the NARS Radiant Creamy Concealer isn’t a newly released item, I finally allowed myself to buy it after finishing my Chanel Correcteur Perfection Long Lasting Concealer and the MAC Mineralize Concealer in NW15. Currently, the only concealer I have in my arsenal is the Clé de Peau Beauté Concealer, which I believe is worth the hype. Described as “a creamy concealer with hydrating, multiaction skincare benefits and light diffusing technology,” this concealer has been raved about since its release by beauty bloggers and makeup artists. So, of course, I was intrigued and my expectations were high. Supposedly, this concealer has the ability to “instantly obscure imperfections, blur the appearance of lines and wrinkles, and hide dark circles and signs of fatigue.” Some big claims, eh? 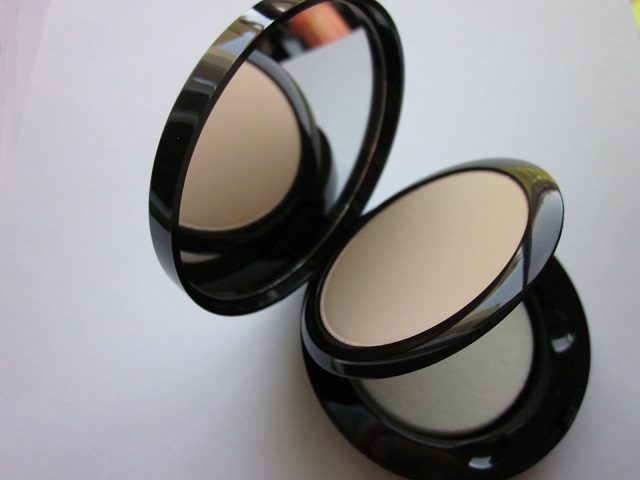 I’d say that this is a great concealer because of its buildable medium-to-full coverage and a natural luminous finish. That’s hard to come by — a concealer that can do both. 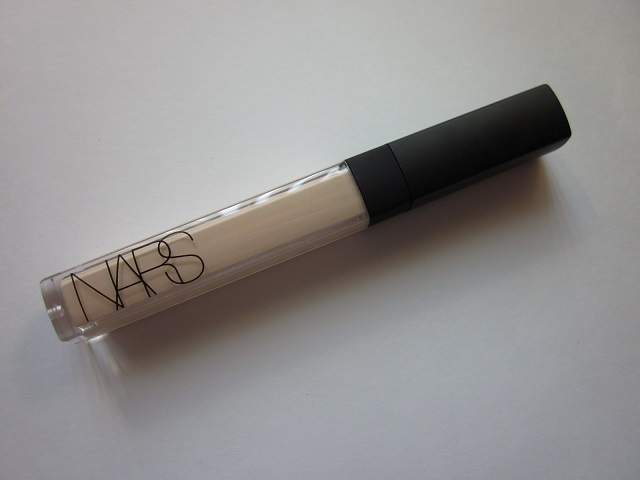 Also, it’s very smooth and hydrating — making it ideal for those who want to use this as an undereye concealer as well. The light, fluffy texture of this concealer allows the product to layer should you need additional coverage. I can’t speak for the “multiactive botanical blend [that] hydrates, firms, reduces redness, and strengthens the skin by helping its barrier retain vital moisture,” but I can say that it feels good and there seems to be SOME benefits (although not life changing) — like hydration. The product also contains “mineral tone balancing powder [that] works to optically correct, not mask, imperfections to keep skin looking flawless.” This — I can attest to because the concealer does a really good job at blurring imperfections seamlessly. Application is fairly standard — either I use my finger and pat the product in, or I use a small buffing brush to blend. Either way, the concealer does its job well. On lazy, barely-no-makeup days, all I need is this concealer to fake it ’till I make it. For me, layering this on top of foundation isn’t necessary, but I’m glad I have that option that I know is reliable — should I come across a horribly bad skin day in the future. 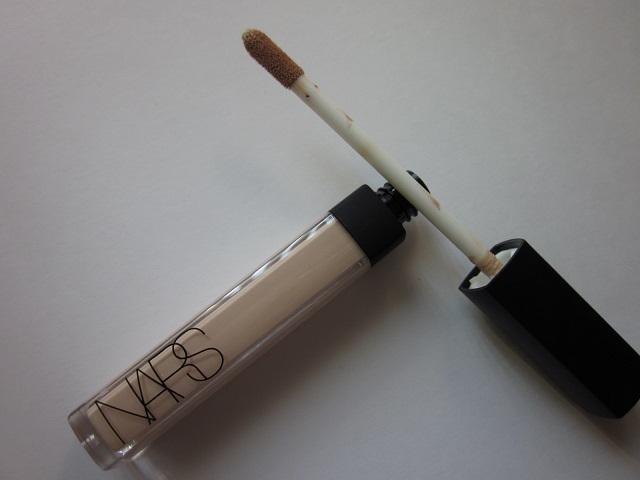 Another important aspect of this concealer is that a little goes a long way. Just a few dabs here and there is best, because it can be obviously obvious when you’ve applied too much of this. I’ve also noticed I don’t have to “set” this with powder because it can stand on its own fairly well. 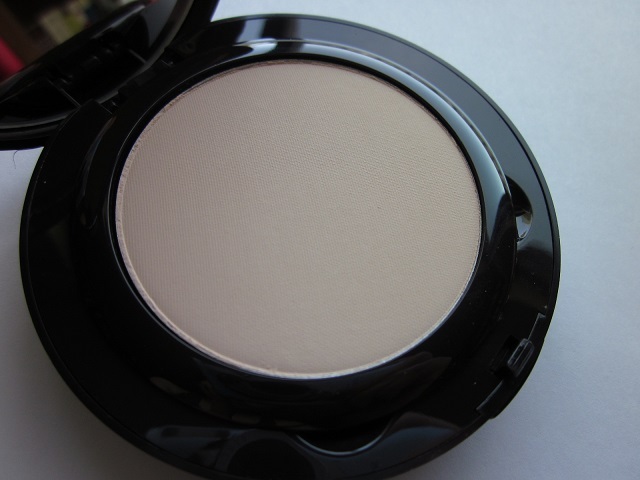 Shade light 2 “vanilla” is the second lightest shade in the range and is described as a tone with a “tiny cast of pink for fair complexions.” It blends wells, stays well, and performs well so I’d definitely recommend. Since I’m still flying high on my Becca kick, I noticed a newly released gem: the Shimmering Skin Perfector Pressed in “Moonstone.” As a highlighter fanatic, this shade was right up my alley, for sure. 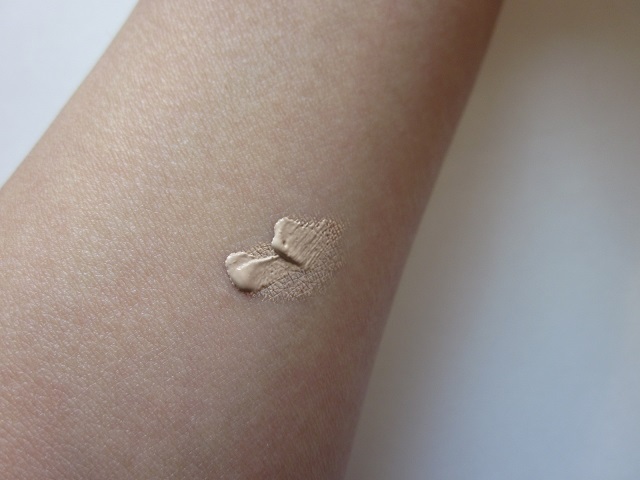 Described as “a creamy powder luminizer that absorbs and reflects light for a superb natural glow,” the concept of this product is just like the Shimmering Skin Perfector SPF 25+ in “Pearl” I recently reviewed. The only difference is that this one is a pressed form. The finish is truly 3-D-like and catches the light beautifully, If you’re not careful this can look too glossy and overly shimmery, but it’s so blendable that shouldn’t be a problem. “Moonstone” is a creamy champagne tone that is glimmery with noticeable glitters. 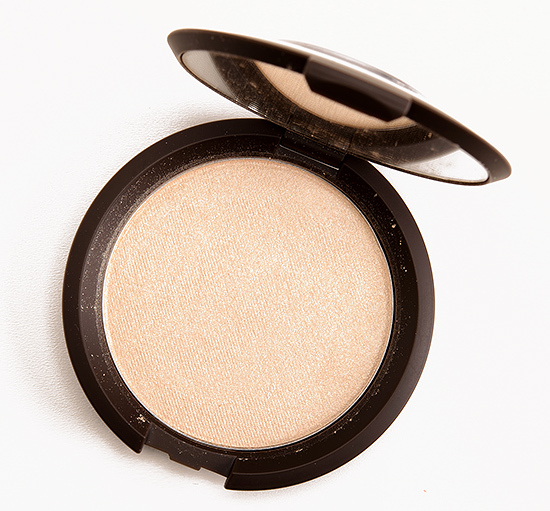 But, because the texture of this product is so creamy, it blends away leaving behind a unique glow. I’d recommend this to those who are interested in a uniquely formulated highlighter; the color, however, can be duped — such as by applying NARS’ “Albatross” to the cheekbones. Also, a champagne-toned highlighter is not a new concept either. Personally, whether the powder highlighter is made of “dry ingredients” or not, it’s the finish I’m most concerned with so I understand if this isn’t a must-have for everyone.